The notion of a 44-minute album solely consisting of drums and a Hammond organ might appeal to a limited audience. But Must Be Nice, the latest record from local funk duo Soule Monde, has more crossover flavor than might first appear. Composed of two noted local musicians, organist Ray Paczkowski and drummer Russ Lawton, Soule Monde are a block-party dance-athon and a refined, creative musical experiment. Verily, Must Be Nice has something for everyone. Lawton and Paczkowski are veterans of numerous legendary local acts as well as current members of the Trey Anastasio Band. That pedigree makes the most remarkable aspect of Soule Monde's latest release somewhat surprising: growth. But Must Be Nice marks a real progression from the duo's first two projects — Smashed World in 2015 and a self-titled 2012 debut. A lot of that growth comes down to Lawton, who incorporates all kinds of spicy new polyrhythms and grooves throughout the record's eight tracks. Paczkowski is growing as a songwriter, too. Though Soule Monde are still a ferociously funky operation, the album offers a lot of beautiful moments. "Mina," one of the best songs here, is a long-form composition that really deserves the space to unfold. Paczkowski's vamps and subtle layers absolutely shine. As ever, the main selling point is the telepathic connection between these two master musicians. Paczkowski continues to innovate, conjuring tones somewhere between a harmonica and a melodica on "Kota." He summons extraterrestrial counterpoints on album opener "Immigrant." His left hand is still one of the best bassists in the state. Lawton balances just the right mix of involved and invisible. He's a highly responsive groove machine. His devotion to the pocket never wavers, yet he supports every flourish and left turn Paczkowski has to offer. To call him solid would be almost trite. Performances aside, the album sounds exquisite. Local engineer Bennett Shapiro did an immaculate job on the recording and mixing at his Lovetown Studios. Ben Collette handled mastering at BTV fixture Tank Recording Studio. Every note here glitters and pops. Must Be Nice closes with "Influence," a reprise of the opening track to their previous project, Smashed World. While the pocket and tempo are very much the same, it's a testament to Soule Monde's evolving synthesis that the cut still sounds so fresh and different. Must Be Nice is a potent dose of swampy, endlessly creative funk. It's also Soule Monde's best and most fully realized album to date. These two innovative talents are at the top of their game, clearly having a blast. And that's a beautiful thing. 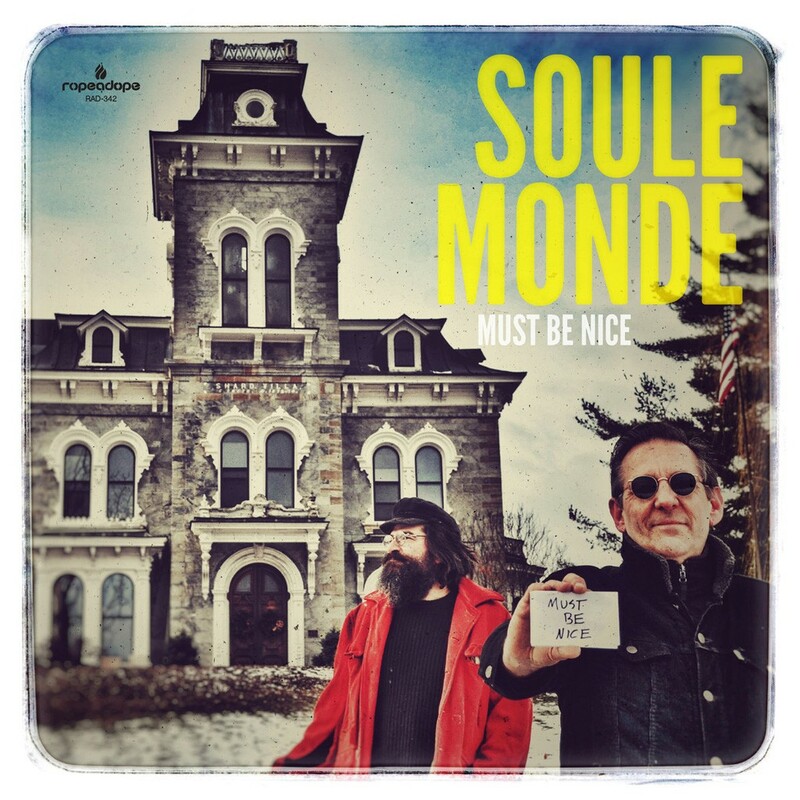 Must Be Nice by Soule Monde is available at soule-monde.bandcamp.com. Soule Monde play Foam Brewers in Burlington on Saturday, March 11.